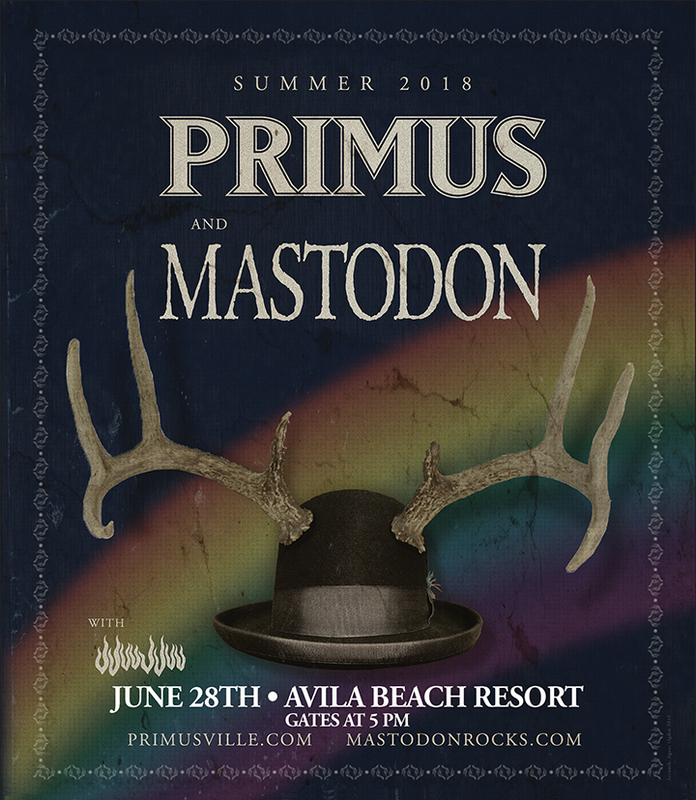 PRIMUS-MASTODON - Otter Productions Inc. | Otter Productions Inc. PRIMUS-MASTODON - Otter Productions Inc.
Buckle up as Primus announces a summer tour with titans Mastodon as they continue on the road in support of their ninth studio album, The Desaturating Seven, out now on ATO Records. They are coming to the Central Coast, to California’s Premier Beachfront Concert Venue, the Avila Beach Resort, on Thursday, June 28th… Gates at 5PM, with special guests JJUUJJUU. Advance General Admission and Beach Club Balcony tickets will go on sale Friday, February 2nd at 10AM at Boo Boo Records in SLO and on-line at; otterproductionsinc.com. All Ages. Rain or Shine. VIP PRE-SALE TODAY, JANUARY 31ST, FROM 10AM, THROUGH TOMORROW, FEBRUARY 1ST AT 10AM. PASSWORD IS: PRIMUS. With VIP (VIP information at: http://primusville.com/), Beach Club Balcony and General Admission Lawn tickets available for sale, this will be an evening concert, gates open at 5PM and the show will continue until 10PM. In the style of any great outdoor venue, you will be able to enjoy your favorite libation (adult beverages and premium beer and wine will be available for sale), snack (upgraded concert snacks available for purchase), watch world-class entertainment under the afternoon sky with your backdrop the Pacific Ocean. Tickets for the public will go on sale Friday, February 2 at 10AM at Boo Boo Records in San Luis Obispo; and scroll down to purchase on this site.. All Ages. 7 and under admitted free in Lawn Seating only when accompanied by paid adult, one child per one paid adult. Rain or Shine. Please no outside food or beverages. No pets. No umbrellas. Low-backed lawn chairs (2’ maximum back height) and blankets allowed in Lawn Seating only. No high-backed chairs will be allowed in venue. 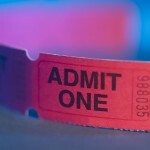 Pre-Paid on-site parking included with your ticket purchase. A portion of the proceeds to benefit the Rossi Foundation, a non-profit 501 C3 and the community charities it serves. Doors are at 5PM. Show starts just before 6PM. The line-up is JJUUJJUU, Mastodon and PRIMUS headlining. The approximate show times will be announced soon. This is a G/A show: General Admission Lawn Seating. Okay to bring blankets and low-backed chairs (less than 2’ high) into General Admission Lawn area. Advance General Admission, VIP and Beach Club Balcony tickets will go on sale Friday, February 2nd at 10AM, Check the band's website for VIP information.